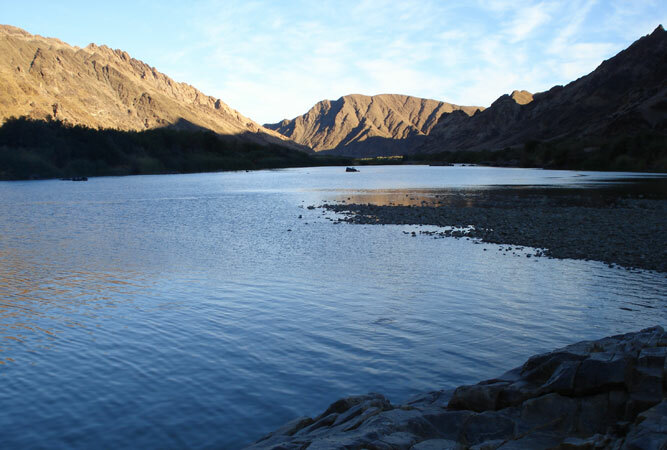 The 2 200km long Orange River, the leviathan of Southern African Rivers, whips and winds its perennial tail through an incredible array and variety of landscapes beginning in the appropriately named Drakensberg (Dragon Mountain) catchment area. Along its course the Orange plays a vital role to the people of South Africa, Lesotho and Namibia and is also responsible for the squiggled international border between the former and the latter. Excepting the 193km to the west of it, the Orange runs the breadth of South Africa culminating in an extravagant exit into the Atlantic at Alexander Bay into which it pours it’s orangey silt, from which the river takes its name, at an average rate of 50 000 litres per second. The river runs thick with not only water and silt but impressive statics and those interested in the finer numbers can research to their hearts content and delve into. Projects on the river are numerous and include hydro-electricity generation, The Lesotho Highlands Water Project and various irrigation operations. 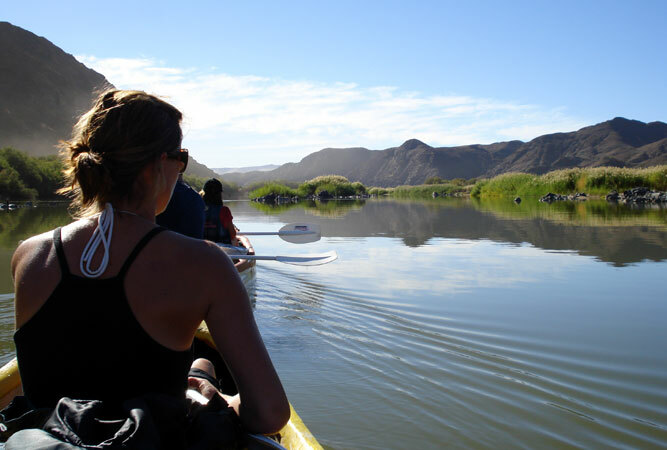 Exploring the Orange is on the “to-do list” of most Southern Africans – especially the famed Orange River Rapids that will see you floating down the river on hot days inside a rafting canoe with all your kit in tow and in steep anticipation of the many mind joggling rapids that come up with swift surprise and have you on constant adrenalin highs. 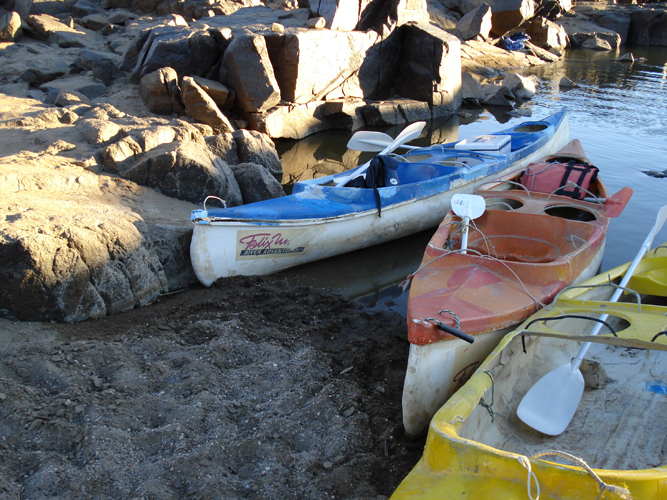 Tours can be taken with guides and are recommended for novices and people looking to have a whole lot of fun. 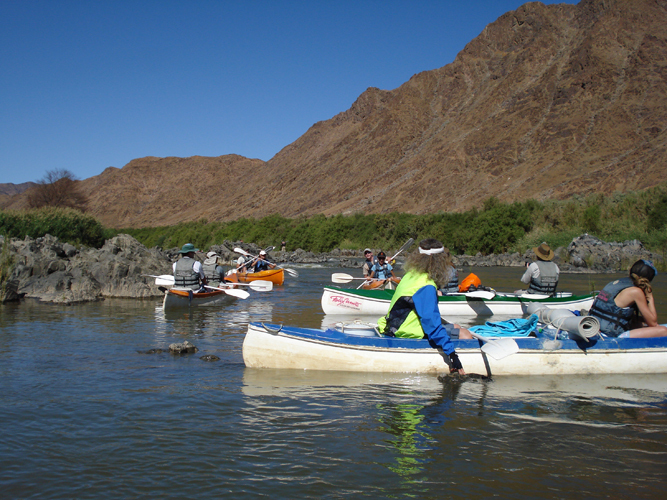 If a weekend trip of rafting and camping on the banks of a pristine river, while your guide cooks you delicious meals on the fire, makes your heart dance then look no further and head up to the town of Vioolsdrif on the Orange, from which most tours depart. 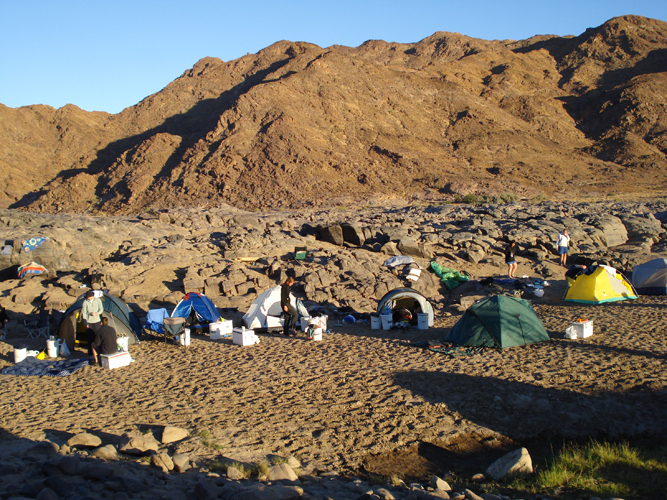 If you have time to burn or are not likely to dip your toes into the rapids then why not head to Augrabies Falls National Park through which the mighty river flows. There are spectacular waterfall viewing sites which will leave you breathless. 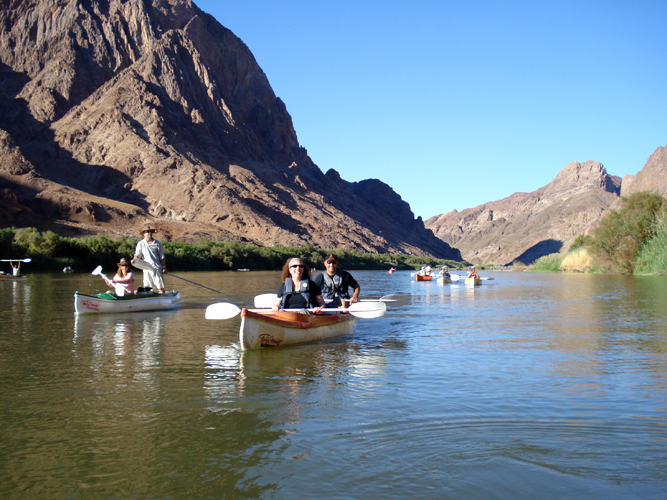 So get out your camera and rechargeable batteries, make the necessary arrangements and plan your next vacation to the Orange River ahead of time to avoid missing out. 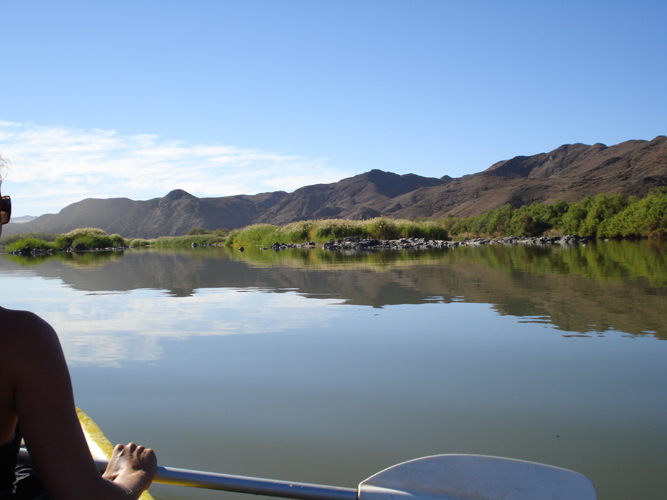 Find out more about the Namakwa Region here and see here to book your accommodation in the Northern Cape. I did one of these trips a few years ago on a holiday home from cold, dreary, wintery London! It was such fun – well worth it.